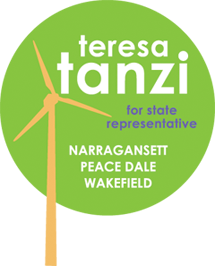 Teresa Tanzi -> Pundits assumed that this progressive would have a strong showing against Rep. David Caprio, but likely didn't have the ability to crack through the moderate voters of Narragansett. She turned out the vote in a massive way and delivered a big blow to a political powerhouse. Her campaign manager, Libby Kimzey, did wonders. Frank Caprio -> Not only did his brother suffer a crushing defeat in House District 34, but Caprio continues to struggle to explain his meetings with Republicans. To make matters worse, Caprio does not seem to recognize his bleeding support among Democrats and is mouthing Republican talking points like supporting the Bush tax cuts.